Description: This PFD example is created using Edraw vector drawing software enhanced with PID solution. 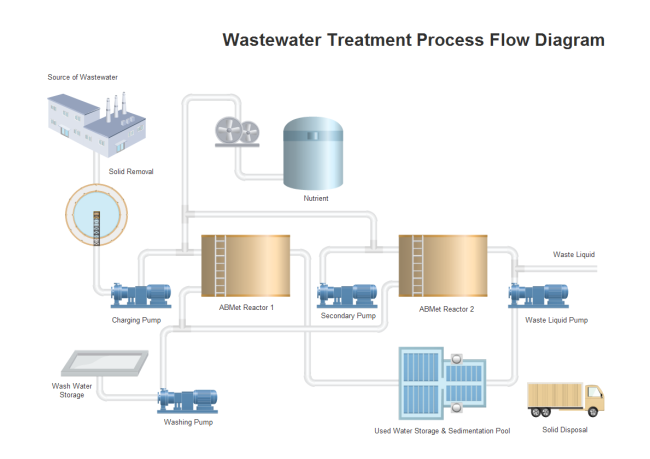 It shows the main process of waste water treatment visually. You can download it anytime and share it on any platform. Click here to get an easy-to-use PFD drawing program for Windows system.